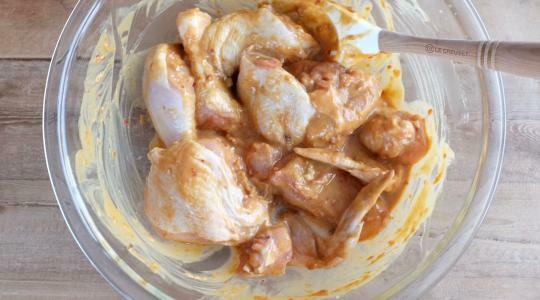 In a small bowl, whisk together the soy sauce, vinegar, peanut butter, sesame oil, brown sugar, ginger, and garlic paste until creamy. Reserve ⅔ cup of the sauce and set aside for serving. Put the chicken into a large glass bowl or baking dish. Sprinkle with salt. 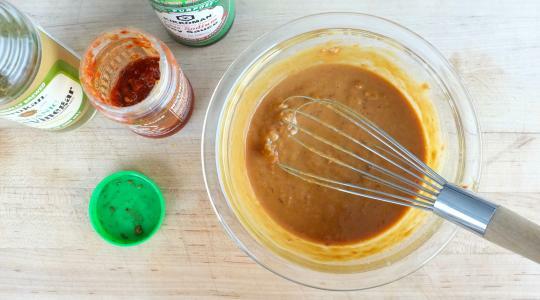 Pour the remaining peanut sauce over the chicken and stir to coat well. Let marinate for at least 20 minutes or up to an hour. 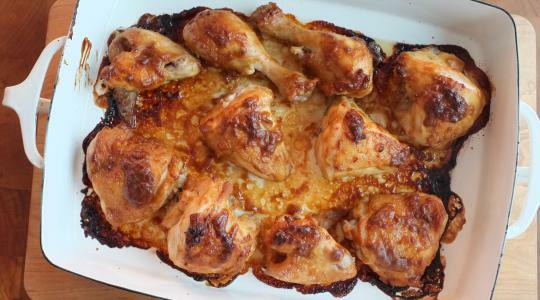 Put the chicken (skin side up) in a single layer in a pan large roasting pan. Roast for 35 to 40 minutes, until cooked through. 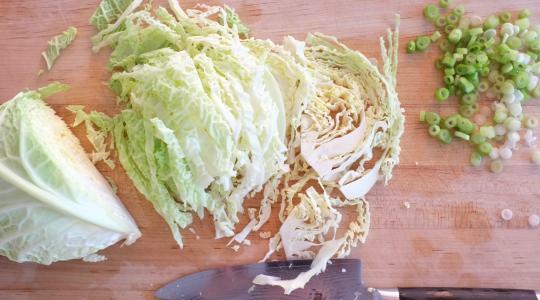 While the chicken roasts, shred the cabbage and thinly slice the scallions. 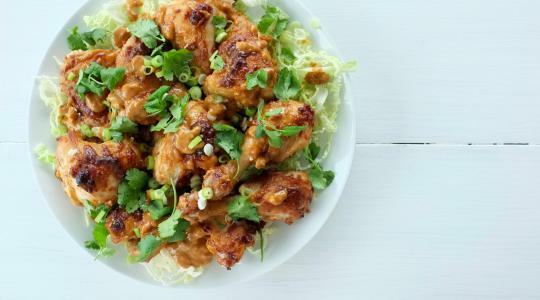 Make a bed of cabbage on a large serving plate and arrange the chicken over the top. Sprinkle with the scallions. Tear small sprigs of cilantro and scatter over the chicken. Serve with the reserved sauce.